Mix together in a bowl the flour, corn starch, egg, garlic, water, magic sarap and pepper. Mix it very well and make sure it’s free from lumps and set aside. Wash and peel the squash and carrots then grate it but in you do not have a grater, slice thinly as you can. 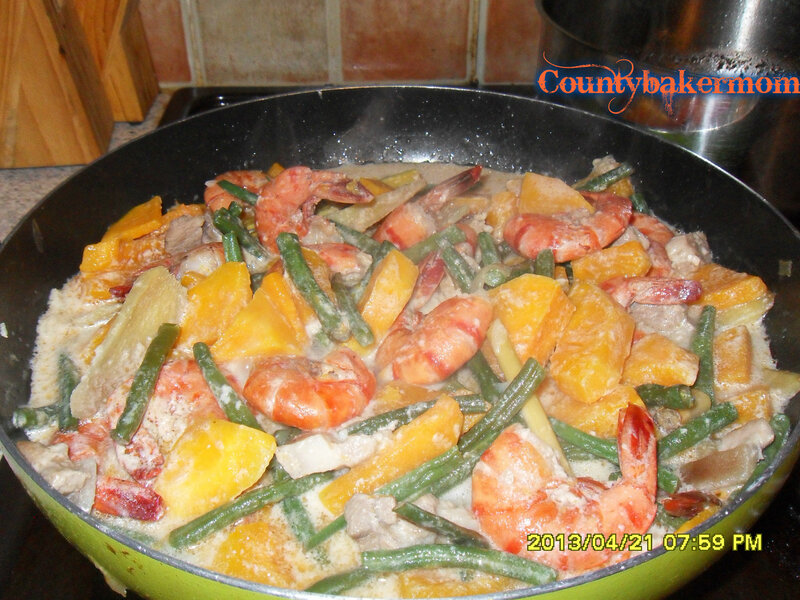 Add the squash, carrots and shrimp into the batter mixture and mix well. 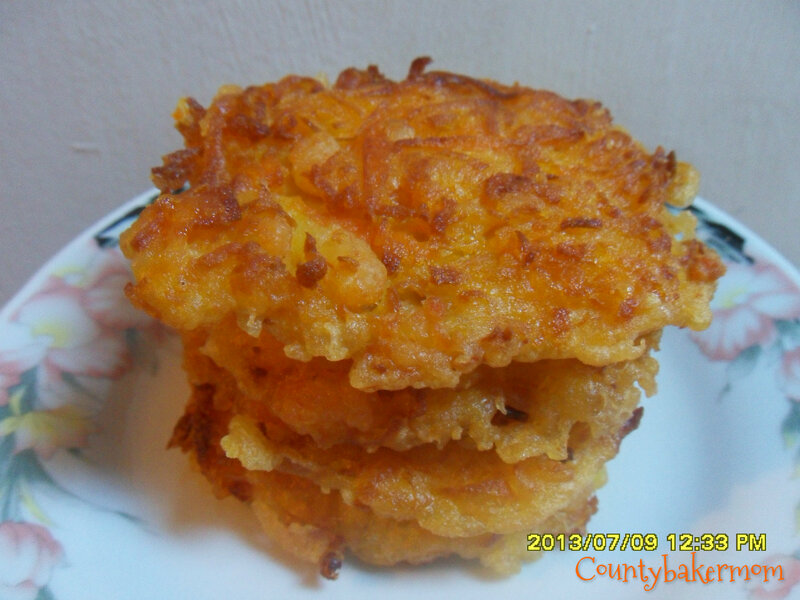 In a frying pan, heat oil just enough to deep fry 2 fritters at a time. Using a slotted spoon, scoop Vege-shrimp batter allowing excess batter to drip off and place in a pan like mini pancakes, frying each side until crispy and lightly brown. 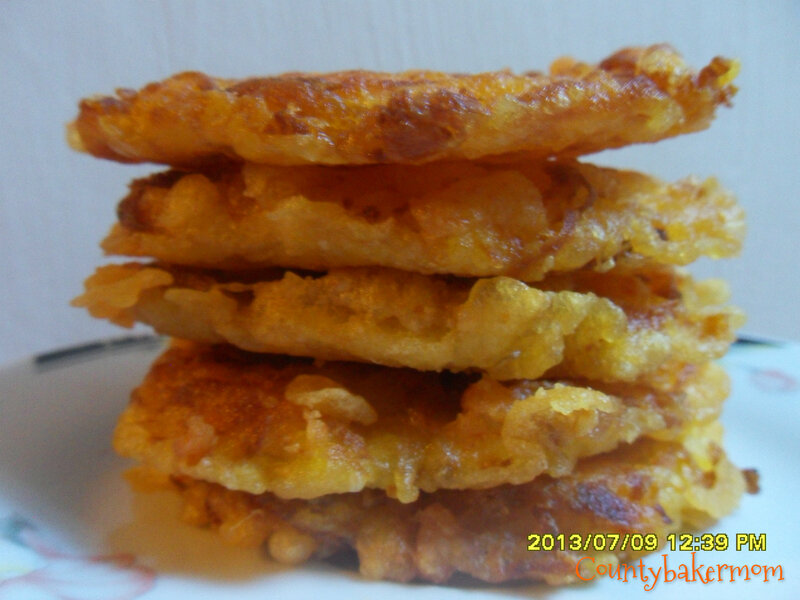 Once cooked, drain each Ukoy fritters on a paper towel to get rid excess oil. 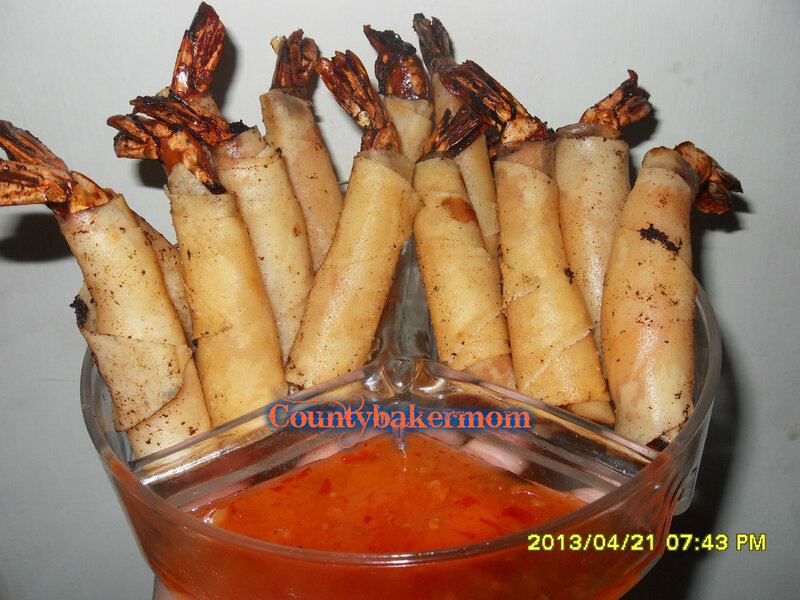 Serve with vinegar or ketchup. 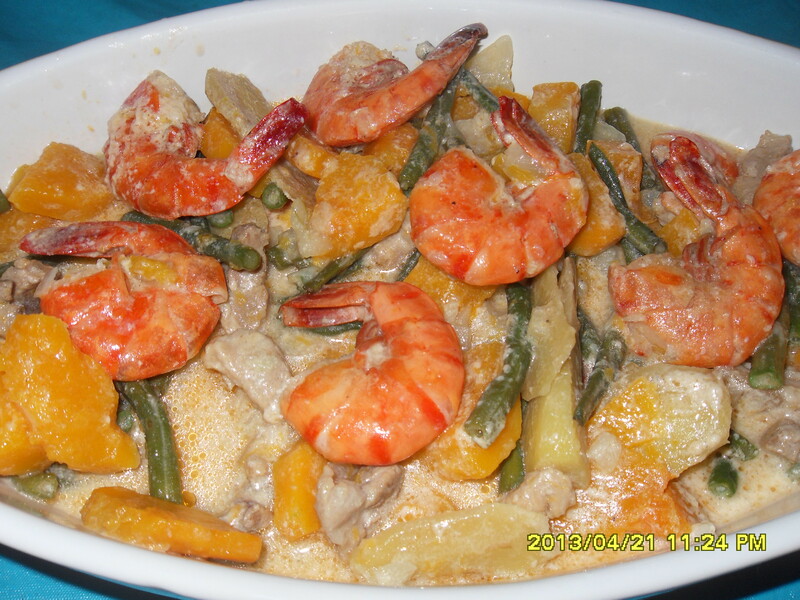 Recipe inspired by Pinoy Recipe. 1. In a saucepan, heat cooking oil sauté garlic, onions,ginger and add pork meat until colour turns to light brown. 2. Add the peeled and cubed kalabasa and simmer for 5 minutes. Stir in shrimp and sitaw, then continue cooking for another 3 minutes adding fish sauce, and maggi magic sarap or salt&pepper. 3.Pour in the coconut milk into the skillet, bring it to a boil . Cover the skillet and continue simmering until vegetables are cooked and coconut milk becomes a little thick.